After having meant to visit this pub since it reopened many months ago we headed down on Thursday evening to finally check the place out. The reason it probably took a bit longer for us to pay a visit is mainly because of its location. 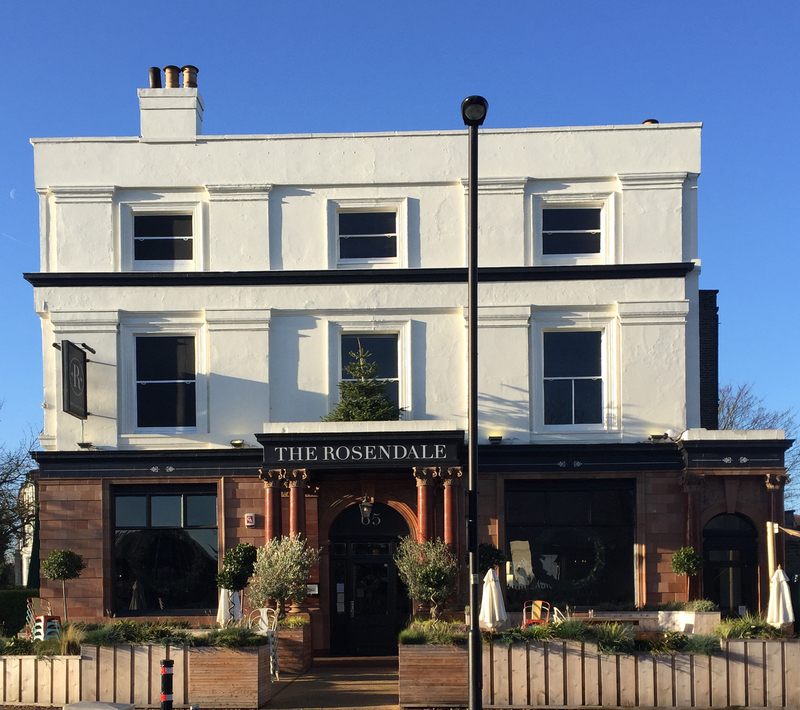 About a 10 minute walk from Brixton station, if you are hungry and don’t fancy a walk you probably won’t make it down there as there are plenty of options much closer to (our) home. Located opposite the infamous ‘after party’ location for Brixton Academy gigs, Jamm, this isn’t a part of town that has experienced the surge in restaurants and bars that central Brixton has. That’s why it is quite nice to get out of the main hub. 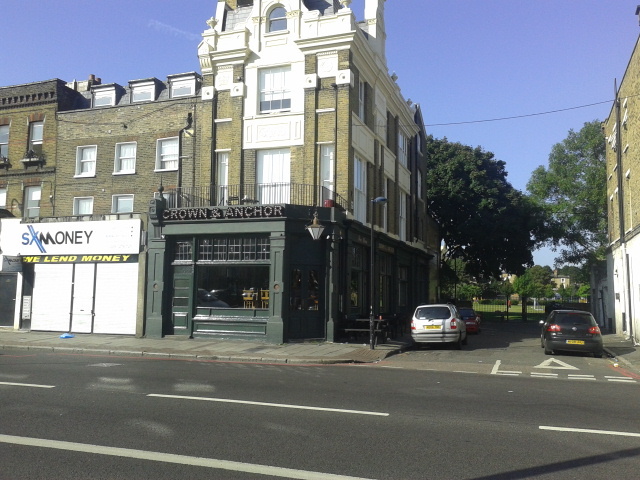 Located on the corner of Brixton road, just by the entrance to Slade Gardens, the Crown and Anchors front is a welcome and shiny addition to the run down and very empty shops that line that end of Brixton Road. The pub is long and thin with high ceilings with plenty of tables, although I don’t see where a big group could really sit together without some manoeuvring. 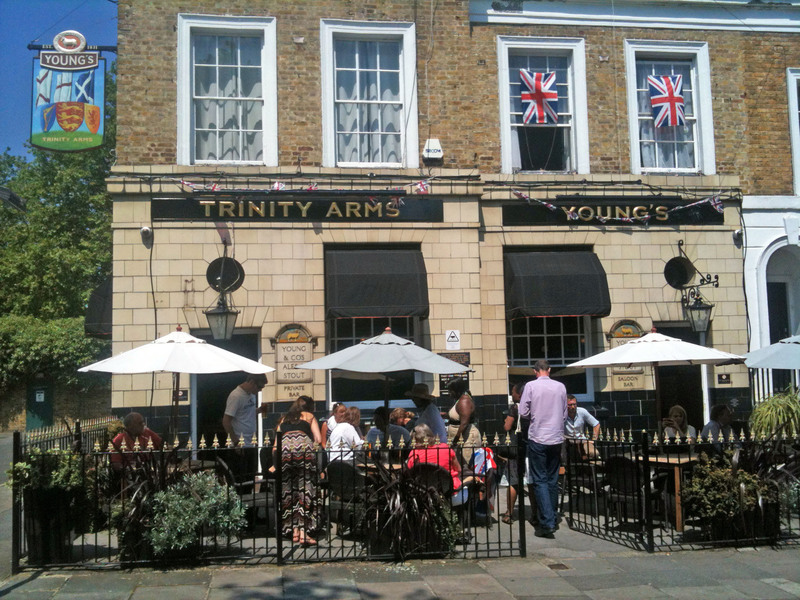 Situated in a hidden spot, right near the main hub of Brixton, a short walk from the tube station and surrounded by old Victorian Houses and a housing estate, the Trinity Arms has for many years been spoken of as a surprising delight in Brixton. With a good mix of locals, visitors and after work drinkers this is a Young’s pub that doesn’t pretend to be anything else than a good old fashioned local boozer. Although with a lick of paint and some new furniture last year made it seem slightly more ‘gastro pubby’ than many would prefer, it still retains the old charm that so many loved.